"Flanagan set a half-marathon PR in her buildup for Boston so she seems to be in good form. Given the fact she has won an Olympic medal at 10,000 (bronze 2008) and was second in the 2010 New York City Marathon, she should be in the hunt. That being said, marathoning is like golf. Even if you are the favorite, it’s smarter to take “the field” over “the favorite” so it’s smart to bet against Flanagan as she’s not the favorite on paper." - excerpt from Robert Johnson's preview of the 2013 Boston Marathon. Read it now so you can impress your co-workers on Monday. Sunday: LRC 2013 Boston Marathon Preview: We break down the field and try to make you look good at the office on Monday If you read one piece all year here, this is the one you have to read. On Monday everyone in the office will ask you what is going to happen and you'd better be able to sound like a running expert or your reputation will be ruined. Sadly we say the American men have ZERO chance for victory and say don't expect Shalane to end the US drought that dates to 1985. LRC Jason Hartmann Has Upped His Mileage But Talks To LetsRun Before The 2013 Boston Marathon "I'll try to run as hard as I can and allow other people to beat themselves." 2nd day of SA Senior Athletics Championships: Long jumpers steal show in Stellenbosch Johan Cronje (3:38.13) over Juan van Deventer (3:38.40) in 1500 as Stephen Mokoka (13:25) wins 5000. Recap of fourth National Bank of Kenya/Athletics Kenya track and field meeting at Thika Municipal Stadium. Q&A With Boston Marathon Director Dave McGillivray Interesting fact: Every birthday, McGillivray runs a mile for every one of his years; he started at 12 years old and is now 46. Ryan Gregson Blogs: "No More 5,000 For Me" Gregson explains how he and Dorian Ulrey once had a conversation about wanting to move to the 5,000 because commentators would have more time to talk about your life story. 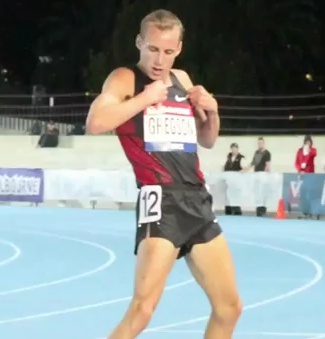 Gregson says, "Maybe I won't get my life story told, but the 1,500m is way sexier." Former 400H Olympic Champ Melaine Walker Reveals She Left MVP Track Club Because Long-Time Coach Stephen Francis Refused To Help Her Move To The 100H Some harsh quotes from her coach, including, "If you are going to retire, then you retire, but I am not going to help you with the foolishness about you being a sprinter. 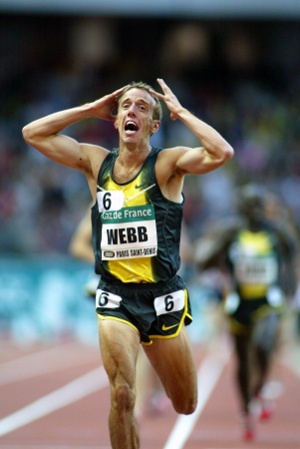 You were a sprinter at 15 years old, you are now 30 and a lot has happened during that time and it is pointless." David Rudisha Says He Will Not Be Aiming To Break The WR At This Year's Moscow World Champs, But Says He Does Think Sub-1:40 Is Possible "I have beaten Kipketer's former world record (1:41.11) three times now and one day I hope to break the 1:40 barrier. It's not impossible but it is a very difficult task to accomplish." Valerie Adams Says She's Focused On Winning Championships Rather Than On Drug-Tainted Record Books Even though she's a 2-time Olympic champ she's only 23rd on the all-time list, but says, "Okay, realistically I'm No. 23, but how many of those athletes have been suspended?" BAA 5k: LRC Kim Smith (15:16) and Dejen Gebremeskel (13:27) win Aaron Braun was a strong second in 13:40 for men and Molly Huddle third in 15:28 for women. 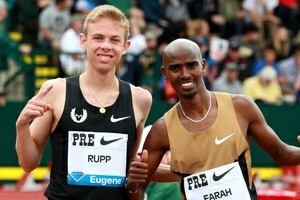 *Video Interviews with Smith, Gebremeskel, Braun, Huddle and Aussie Brett Robinson. Rotterdam: MB: Tilahun Regassa (2:05:38) and Jemima Jelagat (2:23:27) Win Sammy Kitwara was third in 2:07:22. Recommended Read: Ethiopians in Boston closely follow Gebre Gebremariam This article takes you back to win Gebremariam won world cross country at age 18 after patientily moving up after being 30th after lap one - barefoot. False Boston Globe Headline: Jason Hartmann is America’s best hope to win Monday’s Boston Marathon We say fasle headline as rounding to the nearest .1% - Hartmann has zero chance of winning. The article also reveals G. Mutai told Micah Kogo to not run Boston as the course is too difficult. 30 years after his last American male title, Greg Meyer is back in Boston running race. Recommended Read: Irish Examiner devotes 2,500+ words to look back a great career of Sonia O'Sullivan O'Sullivan is full of praise for Kim McDonald. “He taught me confidence and to challenge people I’d have seen as better than me ...“He made me believe I belonged and in that sense, I think it takes a long time to understand what you are doing. I’d be a lot more confident about things now than I was as an athlete." Arizona man starting 5k in 110 degree weather on purpose - Hottest sporting event ever to be staged in Arizona "Whether someone has gone bungee jumping, ran an Ironman or run with the bulls, this is something they won't have experienced before," said race inventor Jason Rose, a Scottsdale PR executive. "This is about us choosing to celebrate the heat, not retreat from it." His Mileage But Talks To LetsRun Before The 2013 Boston Marathon "I'll try to run as hard as I can and allow other people to beat themselves." This Weekend *Vienna Live Stream Sun. @ 3AM ET *Aussie Champs Live Stream On Sat./Sun. 2:06 Man Henry Sugut Will Try To Defend His Vienna City Marathon Title On Sunday; Haile Gebrselassie Will Defend His Title In The Half Marathon He will face a field with 10 sub-2:10 runners, including Jafred Kipchumba (2:05:48). The women's field is highlighted by Ethiopia's Kebebush Haile (2:24:09) and Houston Marathon runner-up Assefa Meskerem (2:25:17). Asbel Kiprop And Silas Kiplagat Highlight FIelds For This Weekend's KCB/AK Meet At Thika Municipal Stadium World XC Champ Emily Chebet is competing, although the article refers to her as "World Cross-Country champion Winnie Chebet" so we're assuming they just wrote the wrong name. SA Joint 100m NR Holder Simon Magakwe Will Try To Win His 5th Straight SA National Title This Weekend 400 hurdler LJ van Zyl will compete in the 200. More Updates On 2016 Trials With Quotes From Vin Lananna, Max Siegel They'll also host the 2015 World Champs Trials. Andrew Wheating Would Have The Trials Always Be At Hayward Field "It's a rock show for track athletes. It doesn't happen very often, every four years, where you get the opportunity to be the Brad Pitt or Tom Cruise of Hollywood at Hayward Field. And we totally embrace it." RegisterGuard: "Like a comet that returns every four years to stage a spectacular show, the U.S. Olympic Trials are coming back to Eugene." Des Moines Very Disappointed With 2016 Trials Choice They will try again in 2020. Speaking Of Hosting: Poll: What US City Should Bid To Host 2024 Games? Right now LA is dominating the vote. 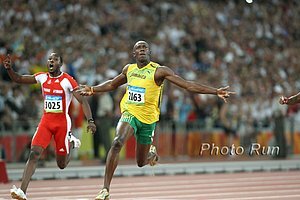 Beijing: Asafa Powell Vs. Justin Gatlin And David Oliver Vs. Jason Richardson Two Highlights Of May 21st Beijing World Challenge Meet Russia's Olympic HJ champ Anna Chicherova and Carmelita Jeter will also compete. Shanghai: PV WR Holder Yelena Isinbayeva Will Open Her Season In Shanghai DL Meet On May 18th There have been various reports, but VFLA chief Valentin Balakhnichyov said she would definitely compete at the World Championships in Moscow. Saturday: LaShawn Merritt And Kirani James Will Be Racing At Saturday's Chris Brown Bahamas Invitational Naturally, they'll be in different events - James in the 400 and Merritt in the 200. Toughest Ultra Run On Earth? The 220K Sahara Desert Run Starts This Weekend Would you oat $4,500 to spend a week running in the Sahara Desert? Liu Xiang Will Likely Miss All Of The 2013 Track Season As He Recovers From His Achilles Injury This has meet organizers of the Shanghai Diamond League meet worried as they expect to see a drop in ticket sales and sponsor interest. LRC 2013 Arcadia Invitational - 18 Boys Go Sub-9 Colorado signee Ben Saarel of Utah used a 55-second last lap and 4:14 last 1,600 to win in 8:45.74. Oregon Pepsi Team Invy: Oregon Men Upset No. 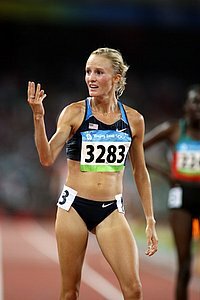 1 Texas A&M As Texas A&M Women Put A Damper On UO Women's Triple Crown Hopes Jordan Hasay won the 1,500 with a kick, proving the LetsRun.com training principle that strength = speed. After the race, she said, "I'm a sprinter. I feel like a sprinter. I think the strength is only helping my speed." 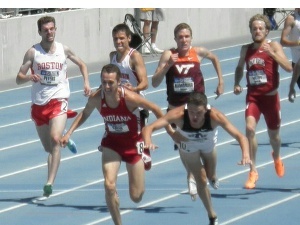 Mac Fleet won the 800 in 1:48.70 in his first race at Hayward since 2010. *Many School/Meet Records Go Down At Pepsi Invitational, Including Texas A&M's Henry Lelei's 8:32.94 Steeplechase Washington's Joey Bywater beat Elijah Greer in the 1,500 with 3:52.78 to Greer's 3:53.08. Ian O'Riordan spends day with Kenenisa Bekele and Ibrahim Jeilan and doesn't quite get courage to ask them about thyroid meds His accountant's advice before the outing, "Make sure you ask them about thyroid medication,"
Panel discussion of Hypothyroidism with Steve Magness, Danny Mackey, Lauren Fleshman and Mitch Kastoff If anyone should know what it does and doesn't do, it's Al-Sal's former right-hand man Magness. *Oscar Pistorious Book Already In The Works It will be published shortly after the trial. Armstrong Sold His Estate To Help Pay For His Huge Legal Bills As He Faces Multiple Lawsuits; Has Hired Attorneys In 3 US Time Zones And GB And yet another lie Lance told - back in 2008 he told his kids, "You will graduate from high school in this house. I promise. Dad's not moving again." The WSJ Takes A Look At The Endocrinologist To Athletes Who Have Won 15 Gold Medals What do Carl Lewis, Galen Rupp and Ryan Hall all have in common? Thyroid medication. Deadspin Prints Excerpt From New Book "Kings of the Road: How Frank Shorter, Bill Rodgers, and Alberto Salazar Made Running Go Boom" Their headline: "How A Med School Dropout Made America Fall In Love With Running"
Book Review Of Bill Rodgers' Recently Published Book, "Marathon Man"
Is Another HS Sub-4:00 On The Horizon? LRC Andres Arroyo: Florida Prep Runs 1:47.79 For 800 Meters - Becomes US #7 #6 All-Time The question now is can Arroyo, who ran a solo 4:04 a few weeks ago and now sits right behind Alan Webb on the US HS 800 list, break 4? Amazingly, he was 7th to last at World XC a few weeks ago as well. Meet Eritrea's Teklemariam Medhin - LetsRun.com's Athlete Of The Week Teklemariam defied all odds to get bronze at World XC as only a month ago he had malaria and then had to sleep on the floor of an airport for two days just before the race. If a US runner did this we'd rightly never hear the end of it, yet Teklemariam has received almost no publicity for the amazing feat.